This entry was posted in Uncategorized on 03/02/2015 by Annie Thuesen. “My baby was ill, so I gave her a few drops of opium. It immediately made her calm down“. So says Fareiba, who lives in a small village in northeastern Afghanistan. To her, this is an entirely natural way of using opium. “Opium takes the pain away when you’re ill. I also use it for myself“. Fareiba is no exception. At least one million Afghans are addicted to drugs, a number which has increased dramatically over the last decade. In some areas, one can find entire villages of drug addicts. 40 percent of addicts are women and children. Many are not aware of the negative and addictive effects of drugs, so it is no wonder that they use opium as medicine for themselves and their children. 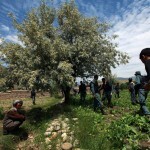 Unlike medical attention, opium is very easily accessible in Afghanistan. 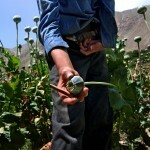 More than 150,000 hectares of the Afghan soil are used for opium poppies, primarily in the southern and western provinces. This marks a sharp increase compared to 2001, when less than 10,000 hectares were used for opium production. Back then, the Taliban regime cracked down hard on this business, as both the production and consumption of euphoriants is forbidden in Islam. However, when the Taliban regime fell in 2001, opium production rose dramatically, and today more than 90 percent of all opium consumed worldwide comes from Afghanistan. 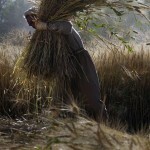 The Afghan government has in fact invested heavily in eradicating this illegal business, but little has come of it. 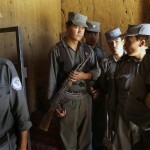 According to the UN, the main obstacles for solving the problem are state corruption and the Taliban. Since 2001, the Taliban have done a complete turnaround and are now encouraging opium production, as this provides a large part of the revenue which they need to continue their armed struggle against the government and the international security forces. Most of the drugs from Afghanistan are consumed in the neighbouring countries and Russia. However, drugs from Afghanistan also enter the European markets. The UN Office on Drugs and Crime estimates that more than 100,000 people die every year because of Afghan opium and heroin. That makes them the deadliest drugs in the world. Like terrorism, Afghan drugs are an example of how problems within Afghanistan have global consequences.